There are a lot of dots with different colours and speed. One is yours; whose colour can change any time. You have to drag your dot with finger to smash opposite colours dots.Avoid touching same colours dots as colour of your own dot is; In this case you'll lose game. 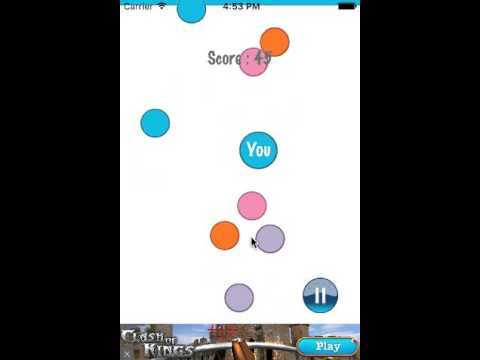 Try to smash as maximum dots as you can.